When religion turns toxic it can become one of the most destructive forces on the planet. Whether we are talking about the Crusades, Mayan human sacrifice, the Inquisition, the genocidal conquest of the New World, the KKK, the Salem Witch Hunt, Islamic terrorism, or the actions of the Westboro Baptist Church, we are talking about hatred justified by religious fanaticism. Of course not all religion is toxic. There are beautiful expressions of faith that can have world changing effects upon both believers and those whose lives they touch. There are religious beliefs and practices that transcend our ordinary existence, and make us one with the divine, the cosmos, the world in which we live, and our fellow travelers on this journey through life. Think of Jimmy Carter building houses for Habitat for Humanity. Think of the gentle spirituality of the Dali Lama. Think of Albert Schweitzer, or Saint (Mother) Teresa of Kolcata giving their lives to serve the poor. Think of the divine transcendence of taize worship, wherein Christians and even non-Christians of diverse tribes come together to focus on the God of all. Think of the Baha’i faith, with its nine doorways of enlightenment. What is necessary then is to understand the signs of toxic religion and to prevent it from developing. Humanity throughout its history, even its prehistory, has been organized into tribes. Tribes can represent bonds of kinship, race, ethnicity, nationality, lifestyle, religious sects, or other demographic groupings that give us our primary identity. As we are social creatures, tribes are essential to our existence. Our culture and language are of tribal origin. Our tribal membership is an overwhelming factor in how we live, act, think, and believe. Our tribal memberships give us a place in our community, and this is essential to human life. But the downside of tribal membership is that it can separate us from those who are not of our tribe. If your tribal religion causes you to hate another tribe then it is toxic. If your tribe is the standard by which all other tribes are to be judged then it is toxic. If your tribe proclaims superiority over all other tribes, then it is toxic. True spirituality rejects superiority and embraces inclusiveness. It embraces curiosity and the desire to learn about the ways of other tribes. It seeks to understand all science, human behavior, and wisdom gleamed from diverse sources. A mountain may be climbed by many different paths, and yet it is the same mountain with the same summit. The path that we chose may be the favorite path of our tribe, well known by our tribe’s long history. We know each step and handhold from those who have climbed the path before us. But to really understand the mountain we need to know the paths others have climbed. Absolutist religion is highly toxic. When a tribe believes that it possesses the truth, and that all other tribes are misguided infidels, then there is no room for compromise or even dialogue. The absolutist tribe is ready to punish or even exterminate those who follow a different path. Their opponents are demonized as godless, heathens, infidels. Even related tribes which share most of their beliefs with the absolutist tribe believe are still singled out for contempt that may lead to persecution. Intra-religious warfare between Protestant and Catholic Christians, or Sunni or Shia Muslims can be even fiercer than inter-religious rivalries. Sometimes it is hard to tell the Christians from the lions without a program. Toxic religion seeks to control others. Freedom of religion begins with freedom from the religion of others. The fanatic believes that they alone speak for God, that they alone can interpret their tribe’s sacred scriptures, and that they have the right to rule over others even by force of law. Those who most demand obedience to the sacred scriptures seem not to have even read them! The fundamentalist always begins by expounding on the authority of the scriptures. And after doing that, then begin to spout off about their own personal beliefs and prejudices. “Yoga pants are a sin!” That one is a comic example, but others are utterly toxic. “God helps those who help themselves!” says no scripture ever. “Life begins at conception.” The ancients had no notion of conception whatsoever. They knew that a man could plant a seed in a fertile woman that would occasionally lead to new life. But reproductive biology was well beyond their ability to understand. A serious read of the Christian gospels reveals that Jesus spent a lot of time and energy disputing with the Pharisees and Sadducees, who were part of the religious right of his day. These people were hyper religious, self-righteous, fanatical control freaks that somehow believed that they alone could interpret the scriptures or to speak for God. Jesus preferred the company of Roman tax collectors, prostitutes, and sinners. If you fail to understand the world through scientific eyes, you will wallow in superstition and expend your energies trying to appease an angry god. We laugh at stories of primitive tribes throwing virgins into volcanoes to prevent eruptions. In truth the volcano is indifferent to human life, and the sacrifice of the virgin is both tragic and wasteful. Volcanism is the result of plate tectonics and not divine displeasure. Throughout our history, and even our prehistory, tribes have made sacrifices, even human sacrifices, to appease their angry gods. We need rain at the right times and in the right amount. We need fertile fields and abundant crops. Our ancestors needed seasonal animal migrations at their appointed times in order to survive. We feel powerless over the forces of nature that can bring storms or fair weather, abundance or starvation. We may laugh at such primitive views of religion, but in fact we still practice them today. How many times have you heard that God is punishing us due to abortion or gay marriage? Such theories are the modern equivalent of throwing virgins into volcanoes. My standard reply to such absurdities is that if God did not smite the United States over chattel slavery or genocidal warfare against the Native Americans, we can be assured that God is not losing any sleep over gay marriage. Others believe that God will protect us from all harm. Global climate change cannot happen because God will protect us! Nuclear war? God will prevent that from happening. Destruction of the ecosystem from the variety of poisons that we use to grow our food? God will feed us manna from heaven. Those who are locked into an anti-scientific world view deny reality. They refuse to accept facts or logic or even common sense. They are sure that the religious mythology that they have been taught is the only way to view the world. Religious mythology becomes a closed loop system that proves itself true and everything outside its narrow bounds as false. It denies the very real and present dangers that threaten to destroy our civilization. We can survive and even thrive as a species and a civilization but only if we learn to manage the Earth as trustees. We need to lessen the effects of global climate change, nuclear proliferation, pollution, poverty and hunger. We need to work at a sustainable economic system that provided food, shelter, potable water, energy, education, and health care for all of the Earth’s people. Costa Rica is a dream vacation for any eco-tourist. This is a great place to connect with nature. You will see the natural world in all of its glory from the volcanoes to the rain forest canopy to the seashores. The tropical forests are lush and teeming with wildlife. My wife and I just completed a ten-day odyssey through this land of wonders. During this trek we were driven some 1000 kilometers (600 miles) through the countryside on our ground transfers and tours. You would have to be crazy to drive in Costa Rica due to the roughness of the roads and the utter lack of traffic regulations. Driving is best left to the local professionals who know the terrain. Most of the roads we travelled had no yellow lines down the middle. But where present they were merely decorative. For example, a left turn signal is given to a trailing vehicle on a road with a double-yellow line to indicate that it is safe to pass! We were driven down highways, back roads, and even no roads at all. We saw farms and fields and small towns and rural crossroads. It was interesting to see all the agriculture and the native vegetation. We saw sugar cane, coffee and rice plantations, pineapple farms, melon farms, and orchards of many varieties. We toured a coffee processing plant and learned way more about producing coffee than we had expected. We saw rubber trees, coconut palms, date palms, plantain trees, and pineapple plants. There were lush and aromatic tropical flowers everywhere. There were wild rivers full of exotic inhabitants. On a river tour we saw crocodiles, iguanas, howler monkeys and white-faced monkeys, bats, and even the lizard that walks on water, Basiliscus Basiliscus or the “Jesus Christ lizard”. Costa Rica has some 500,000 species of animals including some 600 resident bird species plus migrants from all over the continent. Bird thief. Can anyone tell me the species? 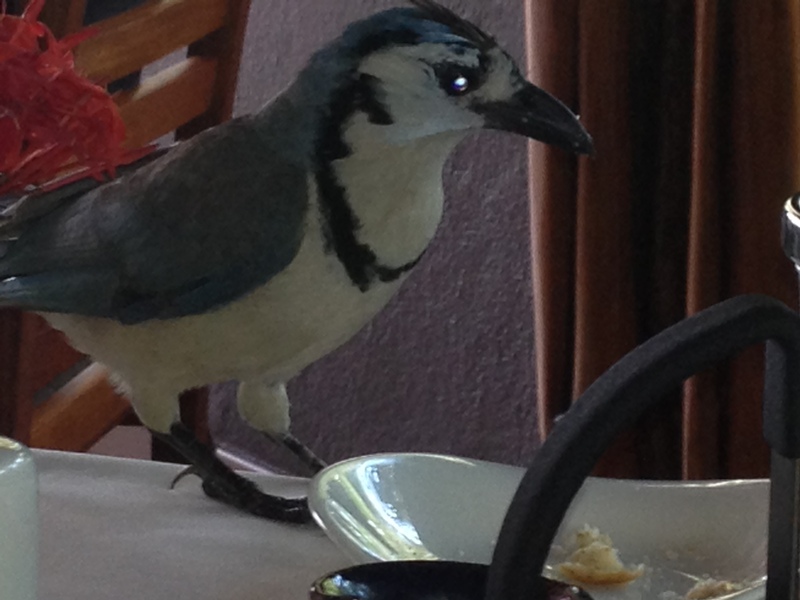 At one of our hotels, there was a bird family that would hang out at the open air restaurant and steal sugar packets and other goodies off of the table. They would first graciously pose for pictures and then demand payment in kind. We spent three nights in an elegant cabin in the mountains. 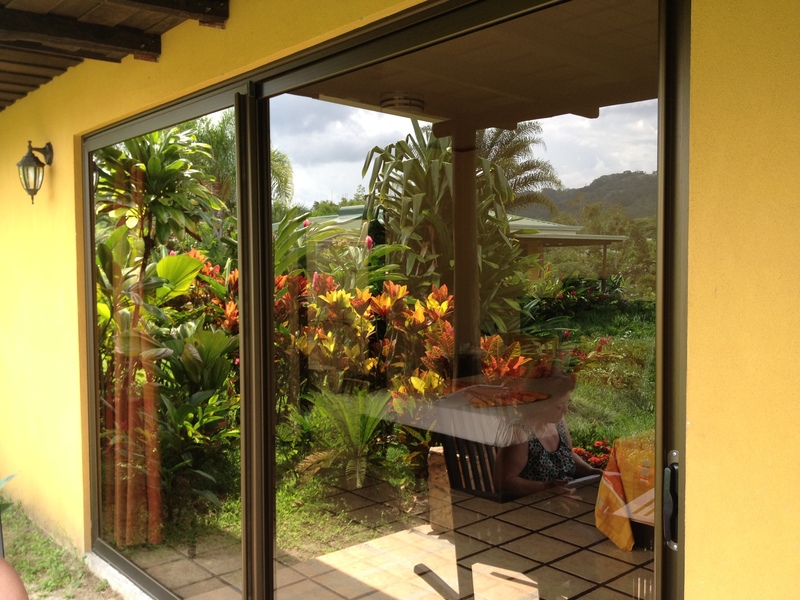 Our cabin had a glass wall facing the Arenal Volcano. We could watch the clouds perform their fan dance across the peak. We never tired of watching the graceful movements of the clouds. One afternoon we had a cloudburst that was a passionate display of the powers of nature at their finest. The next morning the clouds graciously parted and allowed us to take pictures of the volcano erupting. 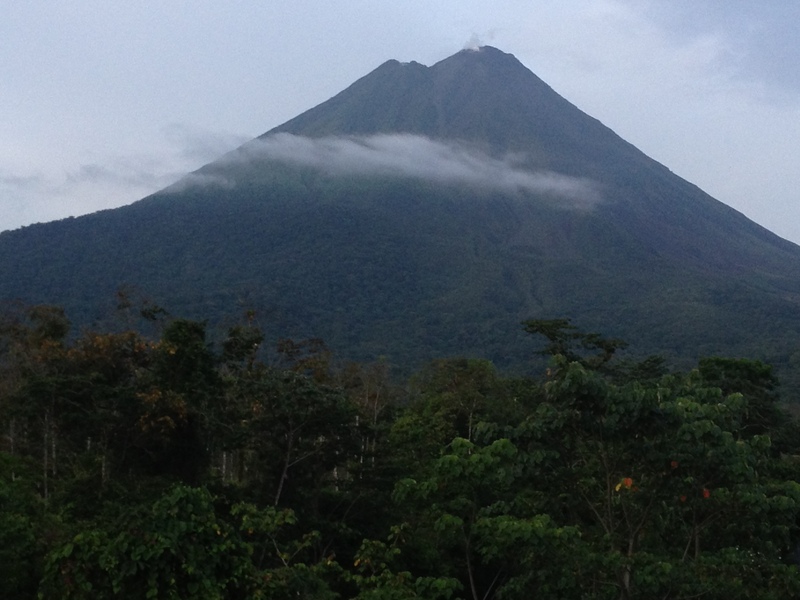 While in Arenal we took a zip line tour of the jungle canopy. We travelled some 8 kilometers (5 miles) on the cables, with the longest segment being about 800 meters long (one-half mile). Did I mention that my wife and I are in our sixties and have never done zip lines before? We got to see a tarantula up close and personal. Our accommodations were posh, with all of the amenities that one would expect at a nice resort. The people of Costa Rica are known for their warmth and kindness. They are gentle and giving souls who will do anything to help a friend or even a stranger. Everyone in the tourist industry that we met went out of their way to make sure that our trip was a great success. Everyone speaks English, even in the most remote areas, and most speak it at least well enough for simple conversations. You can expect that anyone in the tourist industry will speak English very well. But even so, I took great joy in practicing my fractured Spanish, and the people were happy to help me improve. The people of Costa Rica all seem to be healthy and strong. This seems to stem from their connection to nature, their cheerful disposition, the rigors of their daily lives and the excellent diet that they enjoy. Infant mortality is low and the life expectancy is 78 years. Even the people in their sixties or beyond seem attractive, healthy, slender and strong. It would seem to be a great place to spend one’s golden years. The per capita GDP is $12,157. By comparison the per capita GDP of Mexico is $16,588. Everyone in Costa Rica has access to a good education and medical care. But the people seem happy and prosperous beyond the statistical data. The roads are seemingly full of late-model SUV’s of Toyota and Hyundai persuasions. The food in Costa Rica is truly outstanding, and is reason enough to make the trip. Rice and black beans is a staple which is called “casado” (marriage). Breakfast is often a combination of casado and fresh fruits. Coffee and chocolate are two of the spectacular foods of Costa Rica. The rich volcanic soils grow some of the best coffees in the world. Pineapples and coffee are the two largest export crops. Fresh pineapple in Costa Rica is a memorable experience. A slice of fresh pineapple can bring on tears of joy at the sheer wonder of the cool sweetness. All of the chickens are free range, as are the cattle, pigs and goats. There are no factory farms or feed lots. There are also abundant resources of fresh-caught fish and seafood. The diet is based on plant products with these protein sources as flavoring, and not the main source of nutrition. As a vegan I had wondered how hard it would be to stick with a vegan diet while traveling through Costa Rica. I found, much to my relief, that a vegan diet is no problem in Costa Rica. Everywhere we went had vegan options. There were times where I requested menu items prepared without cheese. In Costa Rica, food is local. Many people engage in subsistence or village agriculture, living substantially off of the grid and making due by their own resources. Some of the best food that we ate came from little roadside diners and dives, places where the locals ate. On one of our tours we ate under a shed roof at a combination farm and farm museum in the middle of nowhere. We had a truly outstanding meal while the farm animals contemplated where our next meals were coming from, and the naughty white-faced monkeys in the treetops pelted us with mangos. We traveled in late May. May is the start of the rainy season. Since we were somewhat off-season we found the hotels and restaurants uncrowded and the rates low. We did get some afternoon cloudbursts, but that is just part of being in a rain forest. Also, for an eco-tourist this is an opportunity to see how a rainforest nurtures its abundant flora and fauna. We were especially pleased with our travel company, Costa Rica Vacations, which helped us plan this trip and executed the plan flawlessly. This was not a bus trip with fifty strangers, but a customized package suited to our exact requirements. Your desired trip may look altogether different than ours. That is the beauty of dealing with Costa Rican Vacations. You can plan your own dream vacation and trust that it will be an experience that you will never forget. Jeremy helped to design our trip and did everything possible to make it the experience of a lifetime. I would highly recommend him for any of your Costa Rican travel needs. Jeremy is an American Ex-pat, and part of a large and growing American ex-pat community in Costa Rica. There are a few key rules about raising children around food that will vastly improve your children’s health and wellbeing for a lifetime. These rules are simple, effective and based upon common sense. But I have found in my life that common sense can be anything but common. The reason for this is that people too seldom think about what they are doing, and in this case, how it affects their children. 1. Keep your refrigerator and pantry stocked with healthy food choices. Junk food that should not be a part of your child’s daily diet should never be kept in stock at home. This includes such things as sodas and other sugary drinks, heavily sugared breakfast cereals, candy bars, potato chips, and a host of over items too numerous to mention. Snacking options should include fresh fruits and vegetables, nuts, seeds, and whole grain products. A healthy after school snack might be an apple or celery with peanut butter or hummus instead of a candy bar or potato chips. This is not meant to say that you cannot have pie a la mode on Thanksgiving, but only that this should not be a daily occurrence. 2. Never force your child to clean his or her plate. I can tell you from my own childhood that this was a major source of lifelong food anxiety. Even at age sixty, I still have trouble pushing back from a plate with food remaining. Rather, instruct your child to eat until they are full, and then stop. This will teach them self-regulation which is critical to proper appetite management. Do not worry that your child ate the chicken but left the broccoli. Forcing them to eat the untouched broccoli will only force your child to overeat and cause a serious food anxiety in the process. And here you do not need to worry about your child getting a balanced diet. Studies have shown that children will eat a balanced diet over the course of a week or so without any parental intervention. 3. Avoid fast food restaurants entirely. These places are the poster children of poor nutrition. The food served there is chemically engineered to be addictive. It is dense in salt, sugar, fat, cholesterol, and calories while being essentially devoid of nutritional value. If fast food is the only option available, I will seek out a Subway for an all veggie sandwich on whole grain bread. 4. Never under any circumstances use food as a reward or punishment. This has to be the worst food related mistake that a parent can make. Food is first of all nutrition, and is essential to human life. It is also a source of pleasure, but that does not mean that it should be used as a reward. Using food as a reward creates a food anxiety that can have lifelong effects. Adults, when they are hurting, have been taught to seek relief in “comfort foods.” When they are happy or successful they have been taught to celebrate by bingeing. Both of these states are based in food anxieties and not in nutritional needs. Using food as punishment is likely to be even more destructive. I cannot imagine a parent saying to a child, “Clean your room or we will not take you to see the dentist.” So why would a parent say, “Clean your room or no supper for you tonight!” The withholding of food for disciplinary reasons is child abuse pure and simple. In the global marketplace, many workers are required to work for long hours at low pay in deplorable conditions and often unsafe settings. There are various types of forced labor. Child labor is more common than we would like to admit. Human dignity is denied to the workers through such injustices as discrimination, sexual harassment, physical and emotional abuse, and levels of compensation that do not allow an adequate living for the workers. We live in a global market place with a planetary supply chain. Many around the world are forced to labor to produce our products and services under deplorable working conditions. 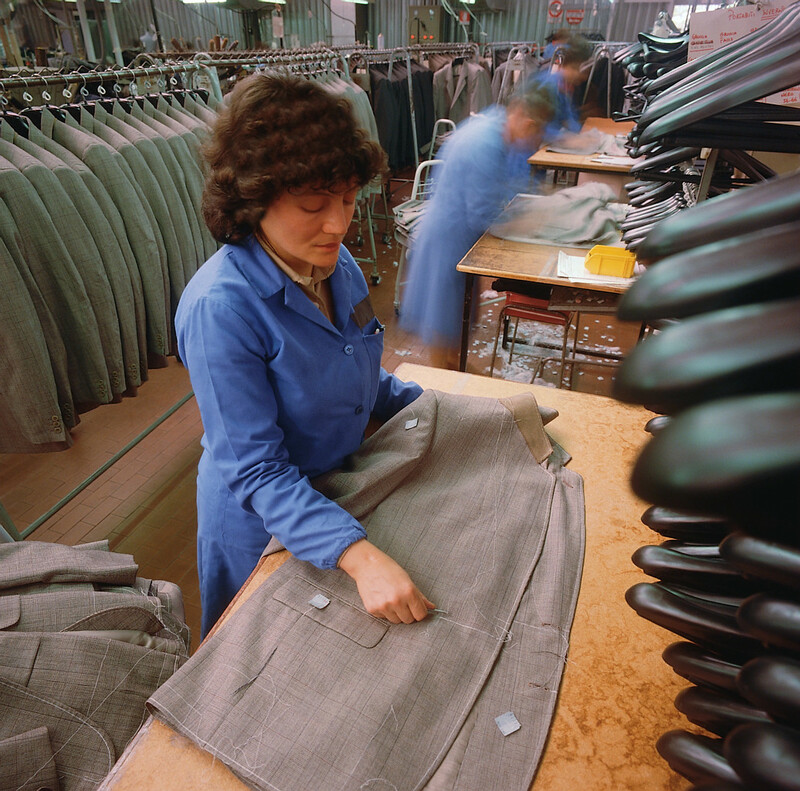 Governments often fail to protect their own workers’ rights and human dignity. Many countries are so focused on economic development through export that the rights of the workers producing those goods for export are ignored. Have you ever wondered if your clothing was produced in sweat-shop settings, or whether the gold in your jewelry was mined at extreme risk to human life? Have you ever wondered if those who made your cell phone were treated with respect in their place of employment, or if they were abused and beaten and forced to work endless hours at a pay rate that could barely keep them alive. Too often, government enforcement of labor laws has been either lax or non-existent. Underpaid government inspectors can be easily bribed to overlook the most egregious working conditions. The Fair Labor Association (FLA) was formed to deal with this situation. The FLA is a consortium of companies, universities and non-governmental organizations (NGO’s) that have coalesced to improve working conditions on a global basis. The mission of the Fair Labor Association is to combine the efforts of business, civil society organizations, and colleges and universities to promote and protect workers’ rights and to improve working conditions globally through adherence to international standards. The strategy of the FLA is both simple and effective. The contracts written with suppliers include the FLA Workplace Code of Conduct. EMPLOYMENT RELATIONSHIP: Employers shall adopt and adhere to rules and conditions of employment that respect workers and, at a minimum, safeguard their rights under national and international labor and social security laws and regulations. NON-DISCRIMINATION: No person shall be subject to any discrimination in employment, including hiring, compensation, advancement, discipline, termination or retirement, on the basis of gender, race, religion, age, disability, sexual orientation, nationality, political opinion, social group. or ethnic origin. HARASSMENT OR ABUSE: Every employee shall be treated with respect and dignity. No employee shall be subject to any physical, sexual, psychological, or verbal harassment or abuse. FORCED LABOR: There shall be no use of forced labor, including prison labor, bonded labor or other forms of forced labor. CHILD LABOR: No person shall be employed under the age of 15, or under the age for completion of compulsory education, whichever is higher. FREEDOM OF ASSOCIATION AND COLLECTIVE BARGAINING: Employers shall recognize and respect the right of employes to freedom of association and collective bargaining. HEALTH, SAFETY, AND ENVIRONMENT: Employers shall provide a safe and healthy workplace setting to prevent accidents and injury to health arising out of, linked with, or occurring in the course of work or as a result of the operation of employers’ facilities. Employers shall adopt responsible measures to mitigate negative impacts that the workplace has on the environment. HOURS OF WORK: Employers shall not require workers to work more than the regular and overtime hours allowed by the law of the country where the workers are employed. The regular work week shall not exceed 48 hours. Employers shall allow workers at least 24 consecutive hours of rest in every seven-day period. All overtime work shall be consensual. Employers shall not request overtime on a regular basis and shall compensate all overtime work at a premium rate. Other than in exceptional circumstances, the sum of regular and overtime hours in each week shall not exceed 60 hours. COMPENSATION: Every worker has the right to compensation for a regular work week that is sufficient to meet the worker’s basic needs and provide some discretionary income. Employers shall pay at least the minimum wage or the appropriate prevailing wage, whichever is higher, comply with all legal requirements on wages, and provide any fringe benefits required by law or contract. Where compensation does not meet workers’ basic needs and provide some discretionary income, each employer shall work with the FLA to take appropriate actions that seek to progressively realize a level of compensation that does. Through the good work of the FLA the global workplace is being transformed. Suffering and abuse are being replaced with human dignity. Starvation and forced labor are being replaced by living wages, worker protection and human dignity. Rick Warren, author of the The Purpose Driven Life and pastor of the Saddle Back Church offers up his formula for leadership. Through his innovative leadership he is able to greatly expand health care in a developing nation. Termination: What do I need to stop doing? Collaboration: How do we do it faster, larger, and cheaper with a team? Combination: What could we mix together/merge/blend to make something new by taking two existing things and putting them together? Elimination: What part could we take out to make it simpler? Illumination: How can we look at this in a new light? Fascination: How could we make it more interesting, appealing, attractive? I once had a question about volcanoes that launched a spiritual inquiry. Why are their volcanos? They cause so much death and destruction. What purpose do they serve? And, why are they allowed to exist at all? It seems hard to fathom the destructive forces of nature. We expect to be safe and comfortable in our “normal” lives. Then suddenly we are overcome by a volcano or another natural disaster. Is this any way to run a planet? But as I delved into this issue, it slowly became clear that the forces of destruction are also the forces of creation and regeneration. Ask anyone living in Hawaii or Iceland about volcanoes. Without volcanoes neither group would have a place to stand. Volcanoes create new land, but they do much more as well. They release water vapor and various chemicals into the atmosphere. They nourish and enrich the soil with their minerals. They bring diamonds to the surface from their birth place deep in the mantle. Of course, volcanoes are not alone in their destructive power. When I first moved to California my family back in Iowa thought it was very unwise to move to earthquake country. But then I thought about my boyhood days in Iowa. Iowa has tornadoes, thunderstorms, ice storms, blizzards, and flooding. California mostly has earthquakes. I guessed that more people die in Iowa blizzards each year than have ever died in a California earthquake, mostly from shoveling three feet of wet snow off of their driveways. From this I conjectured that there is no safe place on the planet. There are hurricanes, tsunamis, wildfires, avalanches, landslides, killing droughts, crop failures, floods, meteor impacts, not to mention diseases and epidemics all with the potential to do us in. Where you live determines which perils you will face, but no place is safe. California does not have hurricanes because of its cold ocean, but it does have earthquakes. Life on earth has its perils. And, when we take a big picture view it becomes apparent that these are just a normal part of the circle of life, of the paradox of creation. Everything is being created and destroyed, and we are living in the construction zone without a hardhat. And now, here is the rub. Earth is not the only hazard zone in the universe. Space can host as many natural disasters as can our lowly planet. There are asteroid bombardments which I have already mentioned, gamma ray bursts that can fry a planet from thousands of light years away, coronal mass ejections from the sun. There are blowtorch like jets streaming from pulsars that can destroy whole solar systems from a great distance. The universe was created from the Big Bang. Does that tell you something? Every element except for hydrogen and helium must be produced in stellar furnaces. The iron in our blood, the calcium in our bones, and the oxygen that we breathe are all born of stardust. Once a star produces iron it is doomed. It then explodes sending its detritus across the heavens. New stars and their planets are then formed from the debris. Elements heavier than iron cannot be formed inside of a star. The heavier elements can only be formed by the supernova explosion itself, an explosion which blows the star apart. This exemplifies the paradox of creation. Some four billion years from now the Andromeda Galaxy will collide with our own Milky Way Galaxy, and we have no idea how it will affect the earth. In the swirling maelstrom we might be ripped from our sun and flung into the cold darkness of interplanetary space. Or, we might smash into our sun or another nearby object. There is no way to predict the outcome of a galactic collision between two galaxies, each with hundreds of billions of stars. And, since we are dabbling in classical languages, did you know that the word galaxy comes from the Greek word for “milk?” We all know that our galaxy is called the Milky Way because it looks like milk spilled across the heavens. But what you may not know is that galaxy means “milk,” and is related to such English words as lactose and lactation. Even if we should survive this cosmic collision with the Andromeda Galaxy, we know the fate of the earth and it is tragic. In some five billion years the sun will swell up into a red giant. It will expand to fill the earth’s orbit. But long before, earth will be nothing but a burnt out cinder, scorched by heat and sterilized by radiation. Creation and destruction, two names for the same processes. So how can we survive in this ongoing train wreck? The answer is simple and profound. . We are a part of this cosmic maelstrom. We were born to survive. Life is tenacious and so are we. Clean water is the most serious public health issue in the world. Nearly one billion people in the world do not have access to safe drinking water. Two people every second die from contaminated water, poor sanitation and poor hygiene. Clean water is needed for washing as well as drinking. Twenty percent of those children who die before age five will di of water-borne diseases. Children often walk miles every day to collect dirty water for their families to drink. The time and energy required to fetch water keeps many children out of school. Water related illness kills more people each year than wars or conflicts. Nearly 80% of illness in developing countries is linked to poor water and sanitary conditions. There are many excellent resources on this topic. TheWaterProject.org digs wells in Africa and India. PottersForPeace.org creates factories in developing areas to produce ceramic water filters from clay and sawdust impregnated with colloidal silver. Their geographic area is Central America. DropInTheBucket.org is an organization providing wells and clean water in sub-Saharan Africa. OperationSafeDrinkingWater.org provided rain water catchment systems in Central America. Potterswithoutborders.com works with ceramic water filters and also technologies for removing chemical pollutants. Located on the Western edge of the African continent, Guinea-Bissau has struggled for decades with political instability and extreme poverty. Civil war, government and military corruption, the remnants of colonization and revolution and tropical diseases have left this country with many large challenges to face. 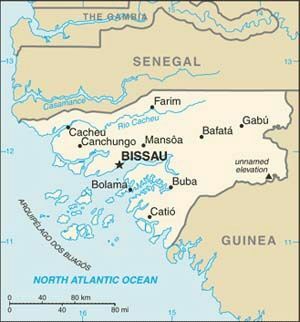 The US State Department lists Guinea-Bissau as one of the world’s poorest countries with an average daily income of only $1.40, an infant mortality of 1 in 10 live births and a life expectancy of less than 48 years. One out of every five children will not reach their fifth birthday. With no US embassy and limited transportation options, Guinea-Bissau has remained off the radar of most major aid organizations and receives little help in its efforts to improve the quality of life for its people. Recently a coup has disrupted the government and disrupted the country’s struggling economy. For more information on the country go to the US State Department page. However, this description of Guinea-Bissau does not reflect the amazing character of its people and the beauty and natural resources of its land and waters. There is a vast contrast between the factual descriptions of this country and the actual experience of being in this country. Its people have a kind and gentle nature and heroic, home-grown efforts are taking place within the country by its own people to improve the quality of life there. But they could use a little help. One critical, and basic, need is for safe drinking water. 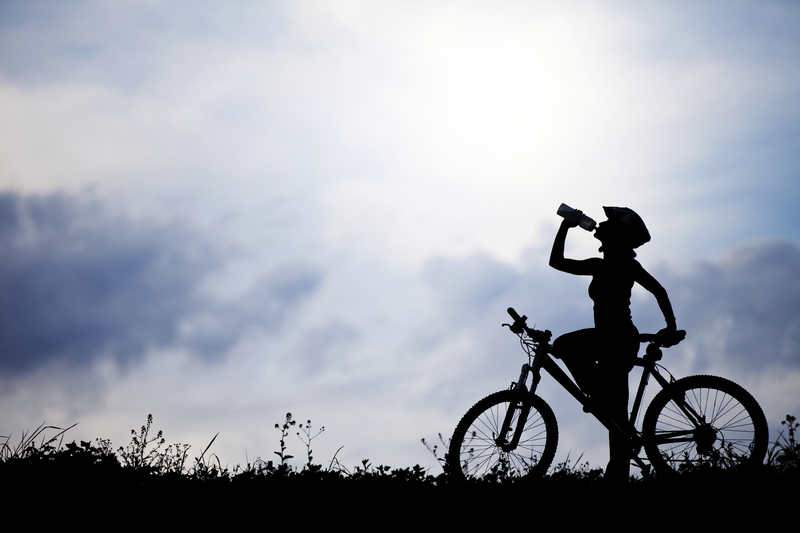 Most wells are contaminated with bacteria and surface waters with parasites. During the rainy season, diseases such as cholera rip through this country like wild fire. More than 1% of the nation’s population will contract cholera each year during these events. Even when clean water is available, it quickly becomes unsafe to drink as it is transported in contaminated buckets, dipped into with contaminated drinking cups or pumped through leaking and contaminated piping. A simple, highly effective and extremely inexpensive solution to all of these water-borne diseases is the use of disinfecting, “point-of-use,” Silver-Impregnated Ceramic Water Filters. This point-of-use, silver-impregnated ceramic water filter is an extremely effective and inexpensive solution to providing safe drinking water in a country that is in great need of just such a solution. The filter has been extensively tested by major universities and international aid organizations and its overall effectiveness in eliminating deadly water-borne diseases such as cholera has been laboratory- and field-proven in countries around the world. This water filter system is uniquely suited, both culturally and practically, for use in countries like Guinea-Bissau where water-borne diseases are a major factor in infant mortality, life expectancy and overall quality of life. Recent interviews with international aid organizations working in Guinea-Bissau, with high-level government officials, with non-governmental humanitarian and religious organization leaders, and with individuals across the country have confirmed the need and desire among the people and their leaders for just such a solution. This water filter factory can be built by the local people of Guinea-Bissau and can therefore be a sustainable source of these highly effective water filters, as well as employment, into the foreseeable future. It is a well established concept: “give a man a fish and you will feed him for a day, but teach a man to fish and he will feed himself for a lifetime”. Putting this concept into action is the goal of this project – To empower the people of Guinea-Bissau to save lives and improve the quality of life in their own country – to walk along side them, to provide the funding and technical know-how, to help them bring this life-saving solution to every home in this amazing country that has suffered so greatly. Below, you will find additional information regarding the country of Guinea-Bissau, the filter, and this project. Above is pictured a similar ceramic water filter courtesy of PottersForPeace.org. PotterForPeace.org has made this filter design available on a no patent no license basis to the whole world. The filter is very simple and works very well, eliminating 99.88% of parasites and bacteria. 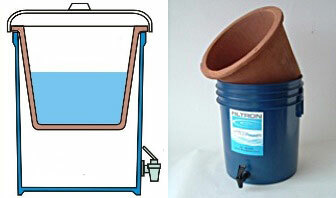 The ceramic filter sits inside of a 20 liter (5 gallon) plastic bucket with a lid and a spout. Unclean water is poured into the filter, and clean water emerges into the bucket at a rate of 1.5 to 2.5 liters per hour. The filter requires no power and no added chemicals. The cost of the entire apparatus is approximately $15 to $25 dollars each, and replacement filters can be had for around $7. These filters are typically made by indigenous peoples living in the same areas as the filters will be needed. Thus, the filters provide jobs and economic development along with clean, safe drinking water. With careful use these filters will last about five years. They never need any type of recharging, but being ceramic, they do break. The silver-impregnated ceramic water filter was first designed in the early 1980s by the Central American Industrial Research Institute in Guatemala and started being put into wide-spread use in the mid to late 1990s. The filter looks like a large clay flower pot, however the clay is made porous by incorporating a “burnout” material such as fine saw dust or rice hulls during its fabrication. The pores that are left after firing the clay are smaller than bacteria and therefore filter them out as water passes through the filter under gravity flow. The key to the effectiveness of this system is the colloidal silver that is applied to the surface both on the inside and outside of the filter material. The colloidal silver becomes permanently bound to the clay during the application process. Colloidal silver is an extremely powerful antimicrobial which kills nearly 100% of the bacteria and keeps the filter material free from microbial growth. The filter element fits into a 5 gallon plastic or ceramic receiving vessel that is fitted with a spigot from which the purified water is taken. This filter system has been described as “a ceramic weapon of mass bacterial destruction.” It has been extensively studied by universities including MIT, Harvard, Princeton, Yale, Cambridge and Oxford, plus many more. It has also been thoroughly evaluated by organizations such as USAID and UNICEF. In each study it has been proven to be highly effective at eliminating bacteria and parasites in contaminated water and significantly reducing the incidence of water-borne diseases in areas where it has been implemented. Since 1998, the organization Potters for Peace has been assisting in the production of these filters throughout the world. Potters for Peace has partnered with other organizations in an effort to create independent factories to produce the filters. So far, 35 factories in 18 countries have been built. For more information on the Silver-Impregnated Ceramic Water Filter you can go click on the link above. Also, click on this next link to see a wonderful video on the workings of the Silver Impregnated Ceramic Water Filter. After several visits to the country and meetings with many government and non-governmental representatives, the overwhelming need for an effective point-of-use water treatment system was identified as a priority. After identifying the Silver Impregnated Ceramic Water Filter as the ideal solution to this need, work has begun to help build a factory inGuinea-Bissauto produce these filters. A non-governmental organization (NGO) based in Guinea-Bissau called Central Social has will have primary responsibility in building a factory that will provide this product to the people of Guinea-Bissau. The reputation of Central Social with the people of Guinea-Bissau is impressive and their demonstrated skills in managing extremely limited resources to build many schools and medical clinics throughout the nation makes them an ideal organization to lead this project. This effort to build the filter factory is in the beginning stages. A relationship with Potters for Peace has been established and the process of organizing a fund raising campaign has begun. A site for the factory has been provided by Central Social and the business structure for this new enterprise is being developed by this organization. This project will save lives and provide for economic development. The diet I follow is based upon McDougall principles, but with a few additional twists. The rules for a McDougall diet are listed on the McDougall website http://www.drmcdougall.com/free.html and displayed below. Any animal products. Most tomato soups contain milk. I believe that cow’s milk is the perfect food – if you are a baby cow. Any product with more than a few ingredients, not counting herbs and spices. This is especially true for chemicals that I cannot pronounce. Any trans-fats, hydrogenated oils, artificial sweeteners, or high fructose corn syrup. Bread is normally a vegan product. Whole grain bread should be robust and flavorful with no need to add any margarine or jam. I will always assume that other pastries and baked goods will be made from butter and/or eggs, so I will always avoid them unless I have made them myself or can check the labels. As you can probably tell, I really enjoy my plant based whole foods diet. I am eating better now than I ever have. And I do not just mean from a health standpoint, but from a gustatory standpoint as well. I am fortunate enough to live in California’s beautiful wine country. In my garden you will find fresh herbs such as mint, basil, oregano, rosemary, chives, thyme, cilantro, sage, and much more. A typical lunch would be a tortilla spread with homemade humus (garbanzo beans, tahini, lemon juice and chipotle pepper), topped with shredded vegetables (lettuce, tomato, zucchini, bell peppers and onions) rolled up into a wrap. This lunch would also include some tomato juice and an apple. A typical dinner would be a mixture of eggplant, Portobello mushrooms and onions in a tofu sauce. Peel and cube the eggplant. Chop the mushrooms and onions. Blend silken tofu in the food processor until it has a creamy consistency. Add ground flax seed and turmeric to the tofu. Flax can be used as a replacement for both oil and eggs in cooking and baking. It is also an excellent source of omega-3, 6 and 9 fatty acids. Mix all ingredients in a container. Add soy sauce. Bake or microwave until cooked. When cooked sprinkle with edible yeast. 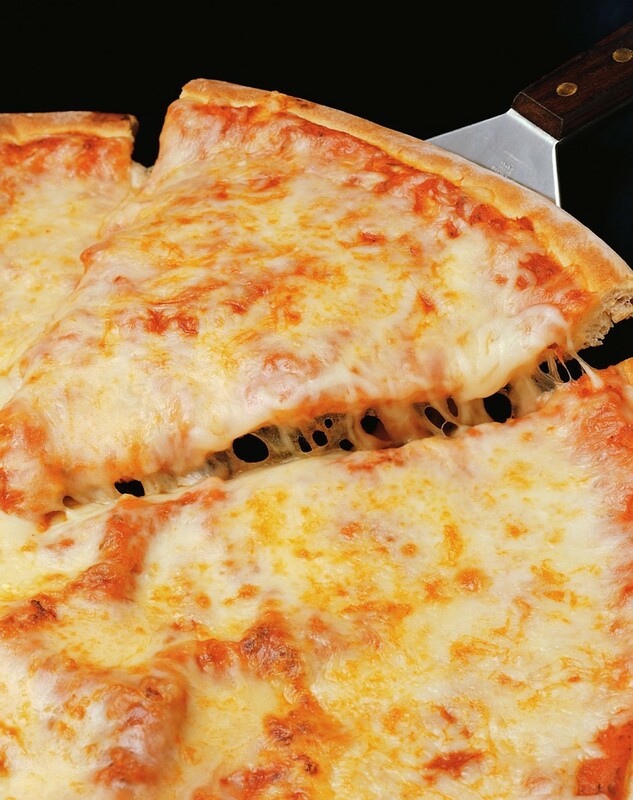 Edible yeast provides a “cheesy” taste and texture. A plant based whole foods diet is no sacrifice at all. GPHIN works by monitoring global Internet traffic and other forms of communications for talk of illness or other threats to public health in local populations. Much as terrorists are tracked by their web chatter, the beginnings of deadly diseases are discovered through similar surveillance techniques. GPHIN has several times saved the planet from pandemics through early detection and early response to disease outbreaks. In 2003 it was GPHIN that stopped SARS from becoming a global pandemic. In 2010 GPHIN prevented a global outbreak of bird flu with origins in Iran. GPHIN detected these early outbreaks months ahead of the World Health Organization, which bases detection upon a much slower channel of official government-to-government communications. This is in accordance to Dr. Larry Brilliant, a leading epidemiologist. Just as every second counts in fighting fires, every day counts in fighting infectious diseases. GPHIN was organized by the Public Health Agency of Canada under the leadership of Ron St. John. Attached is a TED.com lecture on epidemics by Dr. Larry Brilliant.